Walter I. “Butch” Jenkins III is a Board Certified Specialist in State Criminal Law by the North Carolina State Bar. His practice is limited to representing clients who have been charged with criminal offenses. Mr. Jenkins was born in Charlotte, North Carolina and was raised in Montgomery County, North Carolina where he graduated from East Montgomery High School. He received his undergraduate degree from the University of North Carolina-Charlotte in 1983 and his law degree from the University of North Carolina School of Law in Chapel Hill in 1987. While in law school, he served as a Research Assistant to Professor Richard Rosen and participated in the criminal law clinic. He also clerked for former North Carolina Attorney General Rufus Edmisten in Raleigh. After law school, Mr. Jenkins practiced in Wadesboro North Carolina with the law firm of Henry T. Drake. He began trying criminal jury trials within a few months of receiving his law license. He joined Frank Thigpen and his brother Jim Jenkins to form the law firm of Thigpen and Jenkins in 1991. The firm has offices in Biscoe, Southern Pines, and Robbins. Mr. Jenkins has served as lead counsel on capital murder cases and has handled felonies and misdemeanors of all types. His practice has a special emphasis on defending clients charged with Driving While Impaired. Mr. Jenkins is a graduate of the National DUI College held at Harvard University. He is certified in the administration of standardized field sobriety tests and has attended numerous national seminars related to breath and blood testing. Mr. Jenkins is a frequent speaker at seminars on the defense of DWI/DUI cases. 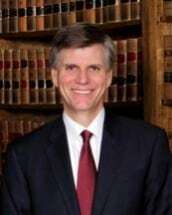 Mr. Jenkins is currently the chairman of the Criminal Section of the North Carolina Advocates for Justice, the largest statewide organization of criminal defense lawyers and plaintiff’s lawyers in North Carolina. He lives in Biscoe with his wife Nancy and their son Andy. He and Nancy also have two adult children, Walt and Katie. He is a member of First Baptist Church in Biscoe, where he has served as a Deacon. He is an avid cyclist, runner and enjoys reading and astronomy.